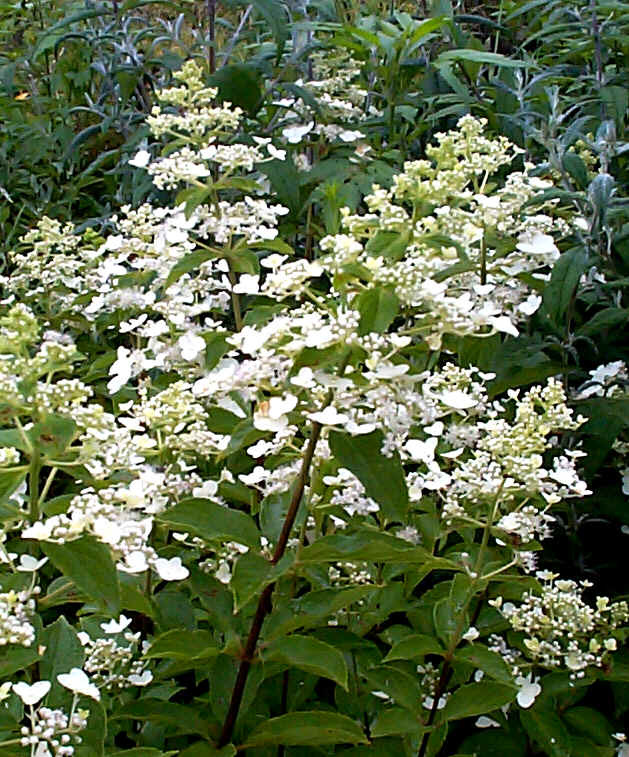 Hydrangea paniculata "Unique"- An early blooming form with large white blossoms. These turn pink as they age. Reaching 8’, this shrub prefers good light and good drainage but is undemanding other than that. Pest free and durable, it can repeat some blooms if some early blooms are removed.